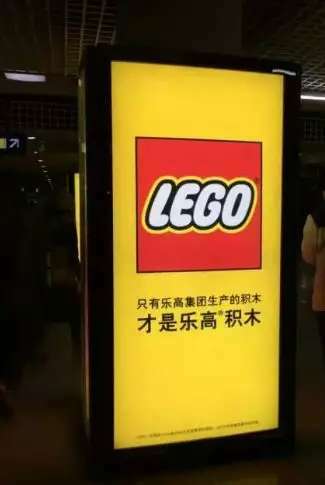 Since December 2015, LEGO has begun placing advertisements widely at subway stations in Beijing, Shanghai, Guangzhou and other Chinese cities, among which the most noticeable slogans were the following two, i.e. “只有乐高集团生产的积木才是乐高®积木” (only manufactured by the LEGO Group, bricks can be the LEGO® bricks), “乐高®是乐高集团的注册商标” (LEGO® is a registered trademark owned by the LEGO Group). Even though such slogans, in the opinion of many common consumers, seemingly carry no special meaning, they reflect a critical legal issue, namely, that trademarks can become generic. This article will start with a definition of trademarks and generic words, and discuss the pitfalls of trademarks becoming generic, then explore the legal standard(s) for when a trademark might become generic, and propose measures for trademark right holders to prevent their trademarks from becoming generic. A trademark is a sign for identifying goods and services of a particular source from those of others, and distinctiveness is one of the most important elements for a trademark. However, after having acquired great distinctiveness after extensive use, especially in a non-standard manner, trademarks may be very likely to become generic. As stipulated in the Chinese Standards for Trademark Examination and Hearing, generic names of goods are the names designated by national or industry standards or commonly accepted by the public, including full names, simplified names, abbreviations and popular names. If a certain trademark is mostly regarded as a term for representing a certain type of good or service, instead of an indication of source, the trademark then fails to perform its function as an identifier with respect to goods or services, loses its distinctiveness, and becomes generic.Once trademarks become generic they lose their distinctiveness, which is a natural element for a trademark, and no longer function to identify the source of goods or services. 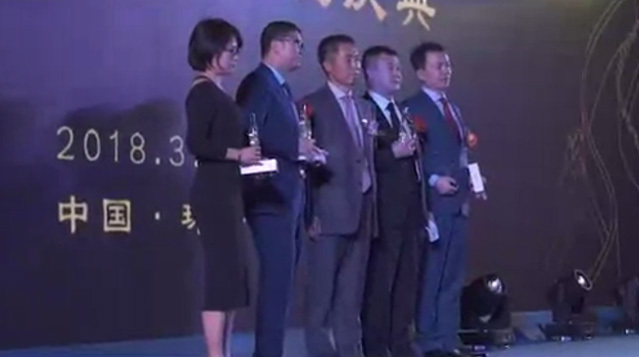 There have been many cases in which trademark right holders, by not paying sufficient attention to this issue, have allowed their well-known trademarks to develop into generic words: for example, aspirin, morphine, 优盘 (used to be a USB flash disk brand), nylon, 席梦思 (used to be a mattress brand), 味精 (used to be a flavoring brand), etc. 1. Trademarks that become generic names may not be applied for trademark registration. As stipulated in Article 11 of the Chinese Trademark Law, those signs consisting only of generic names of the goods concerned shall not be registered as trademarks. 2. Trademarks that become generic names may be applied for cancellation by anyone. As stipulated in Article 49 of the Chinese Trademark Law, where a registered trademark has become the generic name of the goods for which its use is approved, any entity or individual may apply to the Trademark Office for cancellation of the registered trademark. Under Chinese Trademark Law, there is no specific provision that explicitly determines the standard for the recognition of generic names. Even though the definition of generic names is provided in the Standards for Trademark Examination and Hearing, there are no other specific provisions applicable to the recognition standards for generic names. However, Supreme People's Court published regulations on Several Issues Concerning the Trial of Administrative Cases of Trademark Authorization and Confirmation. Among these, the Article 10 regulated some judging criteria for "Generic Names". 1. Where a name belongs to the category of generic product names pursuant to laws or national or industry standards, the name shall be deemed as a generic name. 2. Where the relevant public generally believes that a certain name may be used to refer to one type of goods, the name shall be deemed as a generic name by conventional usage. The fact that a name has been listed as a name of goods by professional reference books, dictionaries, etc. may be used as reference in deeming the name as a generic name by conventional usage. Generic names by conventional usage shall generally be judged based on the general cognizance of the relevant public across the country. 3. With regard to generic names with regional features, the following factors shall be analyzed comprehensively: (1) whether such names are conventionally adopted in a certain region or field, commonly used for a long term, and accepted by the relevant public; (2) whether the production process of the goods for which such names are designated is formed by the long-term joint labor and practice by the masses in a certain region or field; and (3) whether the raw materials of the goods for which such names are designated are commonly produced in a certain region or field. For example, in the Ruling on a Dispute over the Trademark "优盘" (USB flash drive) (No. 1509704) rendered by the Trademark Review and Adjudication Board (TRAB) under the State Administration for Industry and Commerce on October 13, 2004, according to a key judgment that "it has been fairly common that a great number of operators from the same industry, as well as consumers, have deemed, and used, '优盘' as a generic name of the goods of new computer portable storage device", the TRAB determined that "优盘" has become a generic name of computer storage devices, the goods for which its use was designated, and cancelled the registration of the disputed trademark "优盘" in connection with its designated goods. In practice, we need to collect a evidence to support the factors to make a mark generic. This is because different institutions can make different judgments as to whether the same trademark constitutes a generic name, and the divergence on such issues may exist in the same institution. In terms of particular cases, especially the ones of trademark cancellation, recognition of generic names is far more than factual judgment, but requires a balance between individual and social interests, or between the interests of various groups. For example, in the Ruling on the trademark "优盘" as mentioned above, the TRAB noted that "due to the use and publicity by Netac Technology Co., Ltd. (hereinafter referred to as Netac) and other operators from the same industry, the common consumers have developed such a concept as that '优盘 is a kind of new computer portable storage device'; however, when Netac applied for the registration of '优盘' as a word trademark and sought for an exclusive right to use the same, the consumers who desired to buy a computer storage product under the name of '优盘' were attracted more easily by the USB products only offered by Netac, so that other operators from the same industry would have no opportunity to participate in fair competition, while Netac would therefore gain unreasonably competitive advantages." Accordingly, when determining whether the disputed trademark "优盘" became a generic name, the TRAB weighed and balanced the interests between Netac, the right holder, and other competing subjects from the whole industry. The more famous trademarks are, the more likely they are to become generic names. If so, does that mean the popularity of trademarks and the possibility of becoming generic names cannot coexist? In fact, it is not the case. Only if right holders can use their marks in a standard manner and take the initiative to maintain their trademark rights, can they desist their well-known trademarks from becoming generic names while building their trademarks to be more famous and protected. Trademarks' distinctiveness of different degrees may bring about significantly different effects of keeping from becoming generic names. For example, the disputed trademark "优盘" as mentioned above, according to its literal meaning, indicated the description, in some way, of the goods including "computer storage devices" for which its use was designated, but lacked the distinctiveness that a trademark should have. This was also accepted in the Ruling by the TRAB. In the absence of the standardized use of such trademarks in practice, they would develop into generic names very easily. Therefore, when working out their trademark strategies, right holders should avoid adopting such trademarks as their key marks to develop. Right holders are recommended to select, if possible, a text or image-text combination of stronger distinctiveness as the promisingly well-known trademarks as early as the beginning of establishing the trademarks, thereby fundamentally minimizing the risk of becoming generic names. Standardized use of trademarks, as the top priority measure to prevent trademarks becoming generic names, means its use as trademark, instead of use as the names of goods. It is because of their less focus on such measure that many right holders suffer great losses by themselves. For example, in the aforesaid Ruling on the disputed trademark "优盘" , it was mentioned that "Netac itself also kept using '优盘' as the name of goods, thereby further serving as an objective factor to dilute, or even eliminate, the distinctiveness of the term '优盘' as a trademark". "Use as trademark" should at least refer to the following: (1) addition of a trademark symbol, namely, by displaying the registered trademark symbol "®" or the unregistered trademark symbol "TM" by following the mark as a superscript in the description of goods, the packaging of goods, etc. ; (2) use of trademarks as adjective, namely, by using trademarks as an adjective so as to clearly distinguish trademarks from the names of goods, for example, LEGO® bricks, LEGO® products, etc. ; and (3) explicit trademark interpretation, namely, by adding explicit trademark interpretation to the packaging of goods or publicity materials if necessary, for example, the aforesaid slogan "LEGO® is a registered trademark owned by the LEGO Group". During the development of trademark, right holders should use the media publicity to strengthen their correlation between trademarks and them. In particular, when the trademark is sufficiently well-known, and the relevant consumers have misunderstandings that the trademark corresponds to a certain category of goods, the right holder should strengthen the media propaganda to guide and correct the misunderstanding of the consumer. For example, the slogan, "only bricks manufactured by the LEGO Group can be called LEGO® bricks" at the beginning is the guiding and correcting role of media propaganda. At the earnings call of the LEGO Group in February 2016, Jacob Kragh, General Manager of LEGO China and Senior VP, said, "many Chinese consumers know the brand of LEGO, but less of them can build the correlation between the LEGO toys and the LEGO spirits". This is also why the LEGO Group placed the aforesaid new advertisements to stress its registered trademark. Right holders are not only required to provide massive evidence when making a defense of preventing cancellation of trademarks that are becoming generic names, but also need the massive evidence to support their rights during carrying out voluntary rights protection so as to avert their trademarks from becoming generic names. Therefore, right holders should pay constant attention to collection of evidence for the use and publicity of their trademarks. For trademarks of higher popularity, the odds of being squatted and counterfeited are always much greater. If an increasing number of trademarks similar to the well-known ones are registered and put into the market, it is more likely to cause those well-known trademarks to dilute. To reduce such likeliness, right holders should establish a sophisticated trademark monitoring system whereby they can spot the application for or registration of infringing trademarks as soon as possible, and then take immediate measures, such as administrative means including opposition, and litigation procedures, to disallow the registration of infringing trademarks. If being aware of infringing products under the similar brand on the market, right holders should take active measures, such as sending lawyer's letter, applying for investigation and treatment to the industrial and commercial authorities, or detention by the customs, and adopting legal means including civil or even criminal litigations if necessary, to exclude infringing products and desist their well-known trademarks from diluting. Furthermore, if discovering that there is misunderstanding of their well-known trademarks as generic names of a certain type of goods in various reference books or dictionaries on the market, right holders should also have active communication with publishers, administers or the like, or send a lawyer's letter, to require them to immediately make corrections to the relevant contents. As compared with ordinary trademarks, well-known trademarks can be more vigorously protected within a larger scope, the protection for which also can be extended to those different or dissimilar goods. Although well-known trademarks are now recognized under the principles of "passive recognition and recognition on a case-by-case basis" in China, records suggesting that a certain mark was once recognized as a well-known trademark still can be used as reference in the future cases of rights protection, thereby allowing the trademark to be more rigorously protected in a larger scope, blocking others from squatting and counterfeiting in bad faith, and desisting trademark dilution caused by infringement.